Rødberg is located between the historic rural centres ‘Nore’ and ‘Uvdal’. It is very much defined by its significant hydropower production plant, implemented in the 1920s. Before the hydropower development, the entire Numedal was a farming and woodland region. Hydropower production, farming and tourism now dominate the local economy. 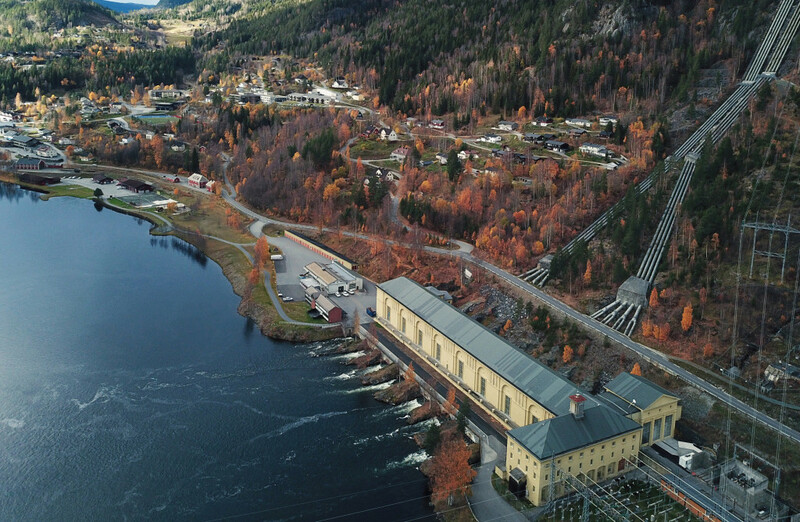 The hydropower plant Nore I is located in Rødberg, while the farmland areas are distributed along the Numedal valley. ‘Nore og Uvdal’ is a popular tourist destination, hosting 4000 second-homes counting up to 20.000 second-home dwellers during weekends and holidays. This has nevertheless a limited impact on the economy of Rødberg, which has not succeeded in creating attractions for the leisure time population of the area. How can Rødberg develop more attractivity both for local residents, second home dwellers, investors and entrepreneurs? Rødberg developed from a settlement of two farms into an industrial community and is today the administrative and commercial centre of Nore og Uvdal. Despite a growing number of second home dwellers, Nore og Uvdal is facing a decline in its permanent population. Skilful coordination of local production, assisted by technology and investment definitely has potential for lifting Rødberg to a level of more dynamism in terms of economic and social productivity. Rødberg must release a new strategy for advertising its hidden potential and unique resources where the rural and urban overlap. Nore og Uvdal municipality has a solid economy and political will to implement such a strategy for a more prosperous and attractive Rødberg. The centre of Rødberg has a west-east orientation in the valley of Numedal. Rødberg is situated along the bottom of the valley. Its commercial centre is a strip development along the county main road west of the bridge. The hillside facing south is developed to a housing area with public community services. The village is concluded to the east by the monumental power station Nore I, from 1928, with old pen gates coming down the mountainside. 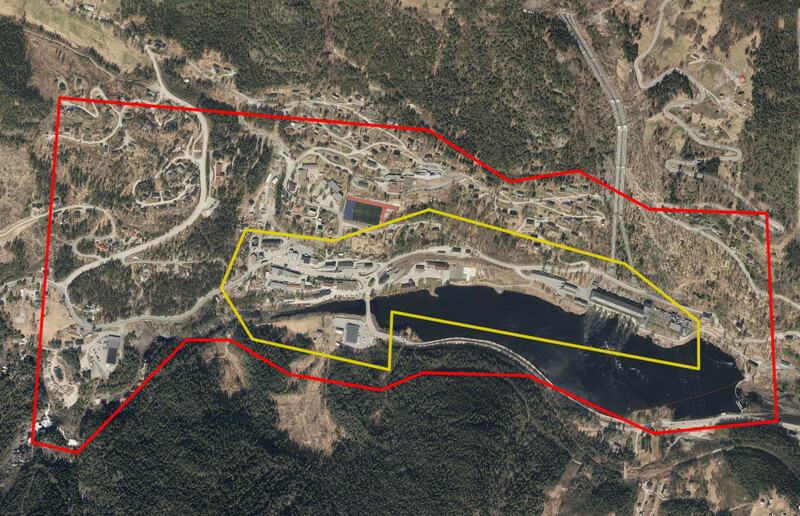 The Rødberg Dam holds the water reservoir for the hydropower plants Gvammen and Nore II further south in Numedal. The power station and its facilities, including the remains of the railroad, make a powerful imprint on Rødberg. The railroad, including the bridge across Uvdalsåe and all associated facilities, are protected as listed historic monuments. Uvdal, Rødberg, Nore and Tunhovd are the four villages that constitute the municipality of Nore og Uvdal, which covers a vast territory. Numedal leads south to Kongsberg, 1.5-hour drive away. 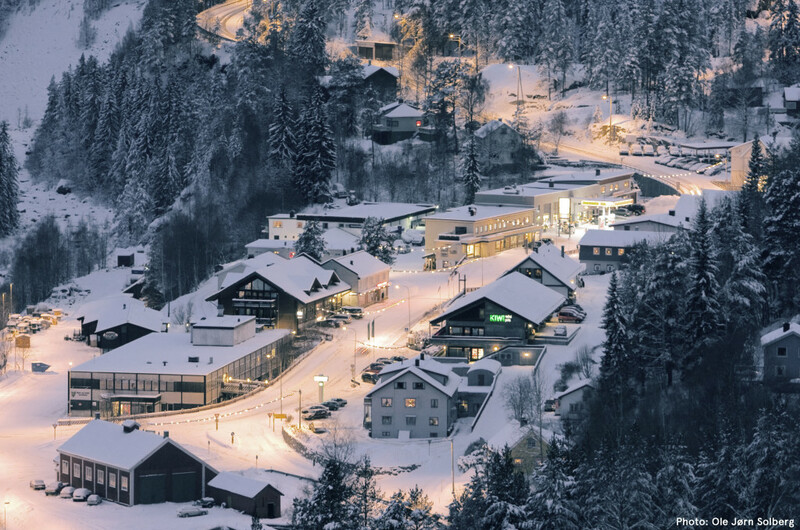 Next to Kongsberg, Rødberg is the largest settlement in Numedal and the last trading point for second-home dwellers going to the mountain areas. 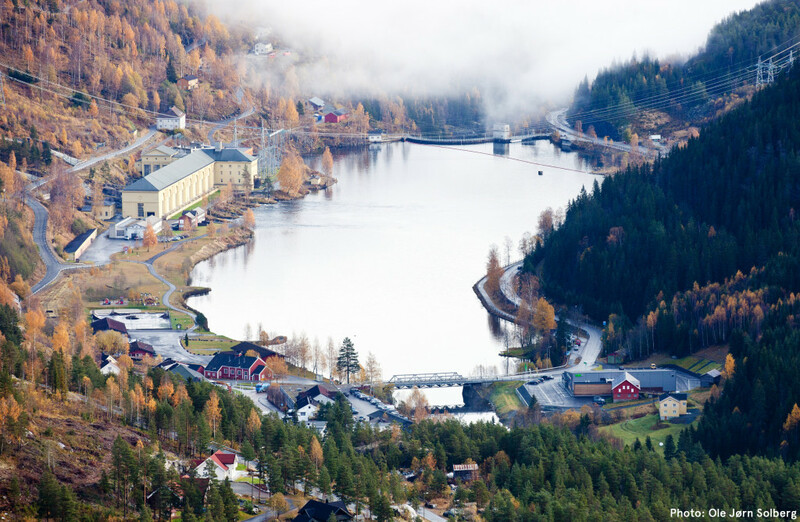 The municipality of Nore og Uvdal is part of the partnership “Kongsberg Region” which focuses on creating a common digital service network for the cooperating partners. The city of Kongsberg is currently developing a system of self-driving public transport. 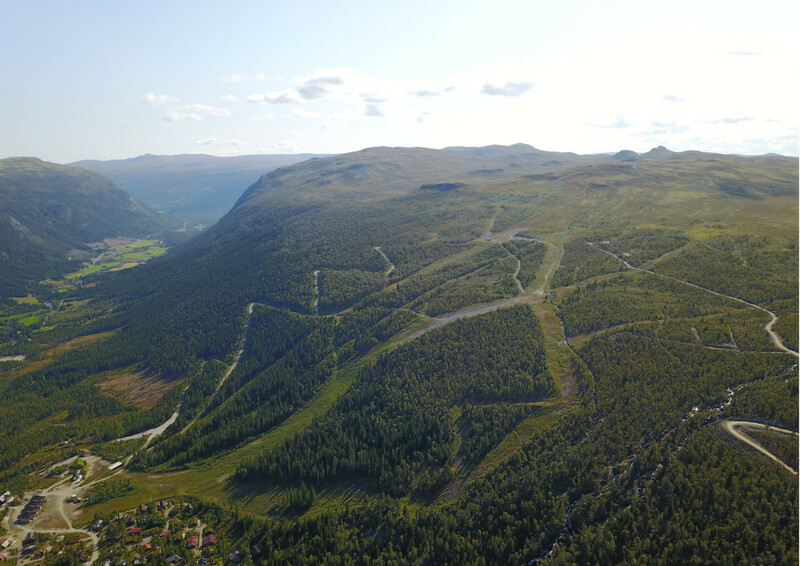 The County Council of Buskerud has launched the idea of a green corridor through the valley of Numedal, including charging stations for electric cars. One of the charging stations is located next to the supermarket in Rødberg, making it an attractive spot for second-home dwellers on their way to the mountains where nature and wildlife are highly valued qualities. Can a strategy that connects Rødberg to the productive territory reverse the decline of the trading industry along the county road, put new life into empty premises and give life to the town centre? Can primary industries be gathered and structured in a network that emphasizes Rødberg as the municipality centre and strengthens the relationship between the villages in the municipality, and the region of Kongsberg? How can Rødberg take advantage of these synergies? Can Europan propose and visualize a strategy for how to obtain a more dynamic town centre in terms of economic and social productiveness? The ambition should frame a forerunner in the movement towards a sustainable future in rapid change. Population: 502 in Rødberg, 2482 in Nore og Uvdal. 4000 cabins. The second home dwellers peak 20.000 in the high seasons.